Hogwarts meets The Bourne Identity in this action-packed thriller that will drive readers mad with suspense. Sixteen-year-old Nadia Riley is delighted to earn a spot at an elite, government-funded boarding school. Nothing sounds better than leaving behind her fraught relationship with her ex-boyfriend and moving to faraway Arizona to attend Desert Mountain Academy. But when she arrives, Nadia finds out she has more than classwork to catch up on. Desert Mountain Academy is a covert CIA program, which recruits and trains high-achieving students for Black-Ops work. While struggling to keep up with her new classes, Nadia must also gain the trust of her teammates, and survive a rigorous exercise and combat training course. Thrilled at the opportunity, Nadia isn't expecting to fall in love—or to end up in real, deadly danger. When news leaks that there is a double agent on campus, suddenly everyone is a suspect—including Nadia. To clear her name, she must use her newfound skills to uncover the traitor—before he can eliminate her as a threat. 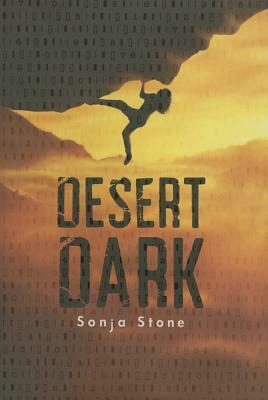 Told from alternating points of view, including that of the anonymous double agent, Desert Dark is perfect for YA readers who love action, adventure, and intrigue. This heart-stopping spy thriller—which Booklist noted would be appreciated by Marie Lu's Legend series or James Dashner's Maze Runner trilogy—will have you hooked. Sonja Stone collected intelligence on psychology and creative writing from Washington College, trained at Le Cordon Bleu for a cover job as a head pastry chef and completed a solo course at the same survival school where Tom Hanks prepared for Cast Away. She lives in Scottsdale, Arizona, with her family—and she is trained in jujitsu, knife throwing, and firearms.